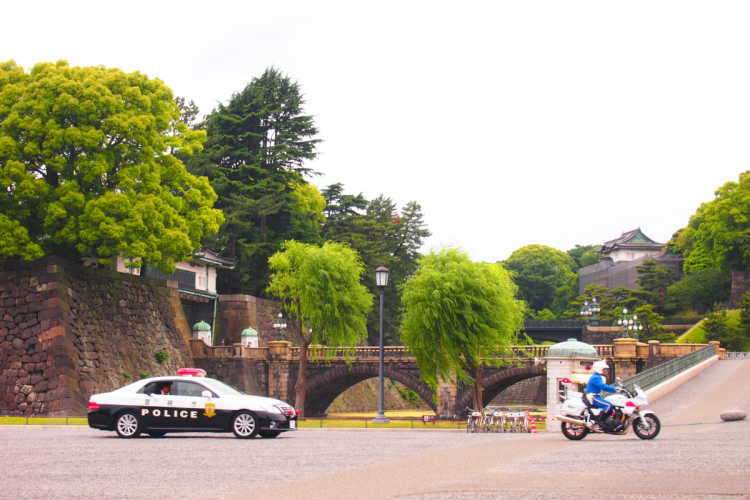 People usually can't enter this area called Inui-dori Street in the Imperial Palace. But, spring of cherry blossom and autumn of colored leaves are exceptions! It has opened to public since 2014, and then, almost every year. ◎Enter from Sakashita-mon Gate, pass through Imperial Household Agency building, and walk along Inui Street. There're no parking areas, so you should use the public transportation. Every year, many people visit here, so you probably can't take pictures like this (because I took these pics from the head of crowded line!). You need to undergo a security check, it's better to go with minimum baggage. 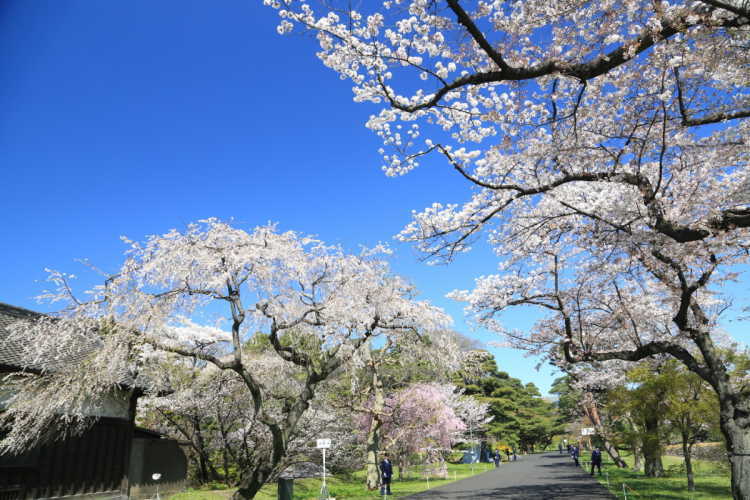 This special open is also a chance to see the site of Edo Castle you can't see generally. I chanced to see a scene of cool police guard. White motorbikes looked nice that were running in front of the Imperial Palace. 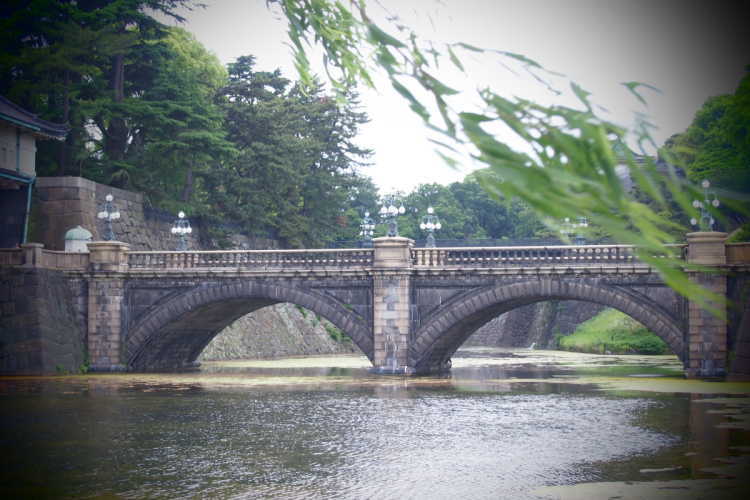 In the contrast with a iron bridge, the beautiful arched stone bridge has a retro atmosphere.